Isabella has been summoned to the house (manor?) of a couple in need of an in-home tutor. The approach takes her through a maze filled with horrifying statues, but she soon learns that this family has more nightmarish secrets hidden within the estate. 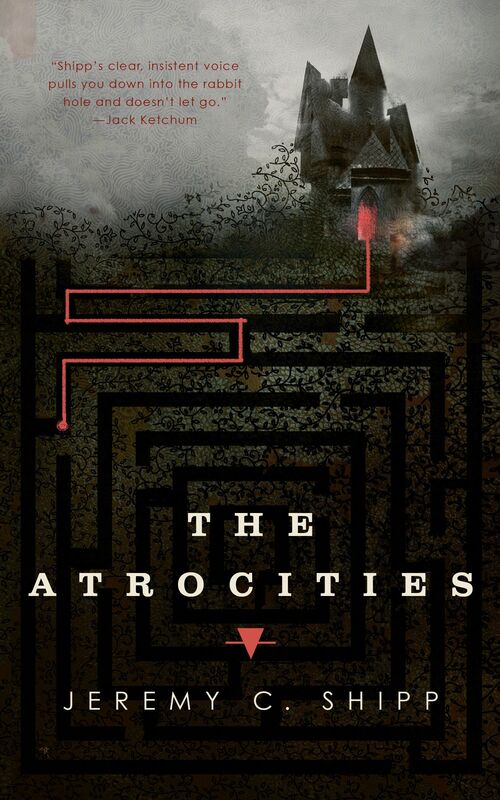 A brief novel, The Atrocities impresses with its atmospheric setting. This is a Gothic style horror novel from beginning to end. It starts in a bad place, and only gets worse. Shipp deftly blends the real world with the nightmare to the point where it's sometimes difficult to tell when the fiction has gone into its own unreality. The central mystery doesn't exactly grab, but it does tug you along to the end. Unfortunately, the end is where it kind of falls down as it has a sudden and simple end. Its simplicity left me feeling unfulfilled as the rest of story had been rather well woven. It's the kind of ending that could've happened in the first 10 pages and totally discounts the experience. It's not a total deal breaker, but it does badly affect how I felt about the whole novel and makes a recommendation much harder. Bonuses: +1 100 pages of grotesquery! Penalties: -3 wow, it ended like that?